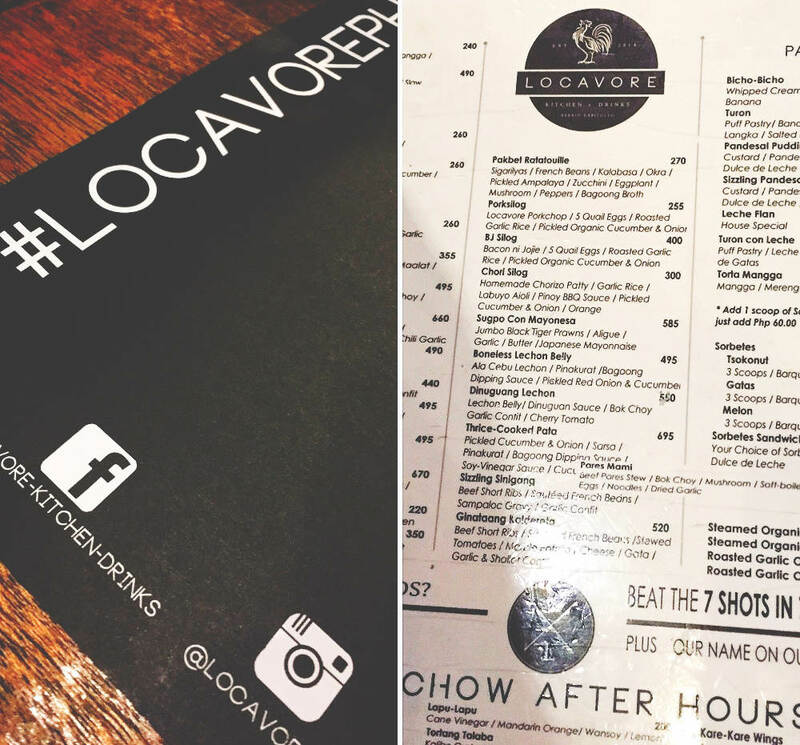 Locavore has made quite a good impression with us from the very first time we had dinner at their flagship restaurant in Kapitolyo, Pasig. 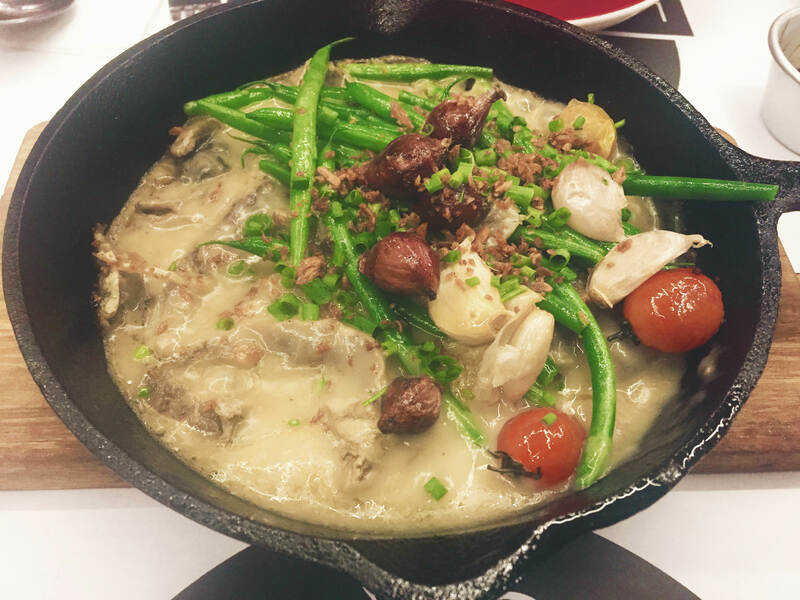 Since then, we have been to their outlet in Bonifacio Global City (BGC) and we were happy because the taste of their food and quality of their service remained consistent. 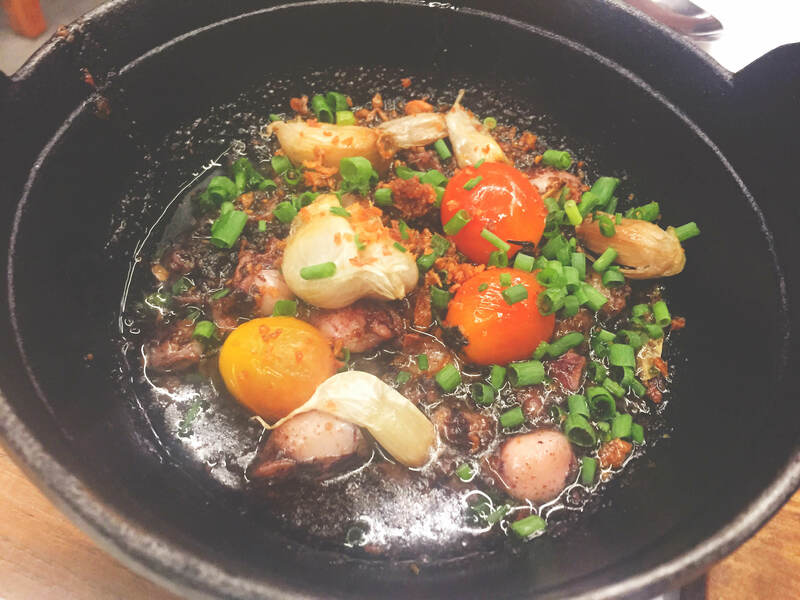 Locavore is one of our favorite restaurants but because Pasig and BGC are quite far-off from where we work and live, we thought it was impractical to go there just to eat. It was a good thing that, sometime last year, we saw a banner that they were soon opening a branch in Three Central in Salcedo Village, Makati City. This location was just very near our office, so we were thrilled because, finally, we can have our favorite sizzling sinigang whenever we have the craving for it. We made a plan to have dinner at Locavore’s newest location on a Friday evening. However, we had to cancel our plan during the first time we went here because, similar to their other two outlets, the waiting queue can be quite long. As such, we went here for dinner during mid-week, and thankfully, the line was manageable. We ordered two of our favorites, the street food platter and the sizzling sinigang. We decided to try a dish that was new to us, the garlic baby squid. 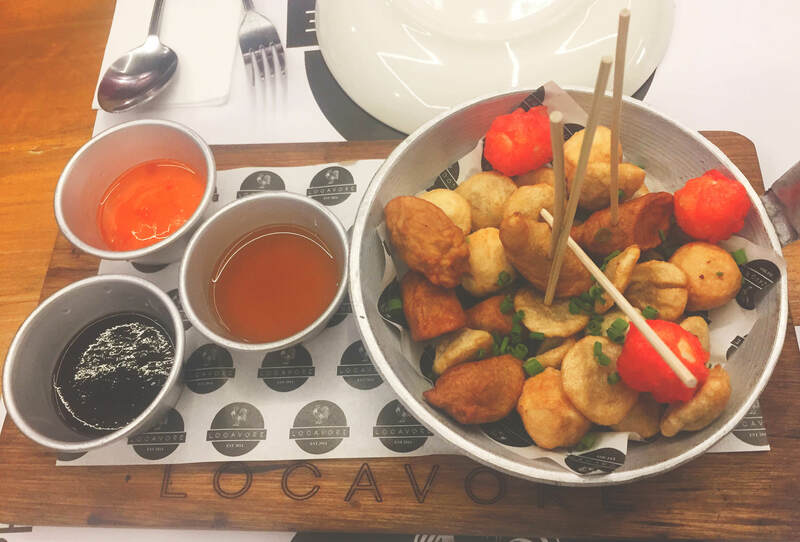 The street food platter is a skillet with assorted fish balls, squid balls, kikiam, kwek-kwek, and served with three kinds of sauces: the classic sweet Manong’s sauce, sweet chili, and honey vinegar. This was addicting to eat and roused our appetites for the dishes that were to arrive next. The Sizzling Sinigang, meanwhile, is as good as how we remembered it. It was made of tender, melt-in-your-mouth short ribs, with French beans, marble potatoes, garlic and shallots, and cherry tomatoes. It was swimming in a sauce that was sour, a little salty, but at the same time, with hints of creaminess. I thought it was heavy cream at first but I later found out that the sauce had cheese and gata or coconut cream in it. But the revelation of the night was the Garlic Baby Squid. This dish was also so delicious; it left more great memories of Locavore in our minds. It was actually a simple preparation made of baby squid, garlic, and olive oil with cherry tomato toppings. The flavors of the squid and garlic meld well and are concentrated in the already rich-tasting olive oil. This was really good with hot rice. The quality of the service is still the same; the servers fast, attentive, and accommodating. Price is still the same, Php475 for the Sizzling Sinigang and but the Garlic Baby Squid at Php440, in a small serving dish, was a little on the pricey side for us. All in all, it was again a pleasant experience for us at Locavore. It always feels nice to go back to a restaurant and get proper service just as the first time,right? That just means that Locavore is commendable. Anyway, I think I'd enjoy the street food platter more. It looks yummy. You have explained it to make anyone hungry. great post... I loved it.. The Sizzling sinigang looks amazing, who am I kidding it all looks amazing. Although I would be a little squicked by the squid, not sure if I oculd eat it. This looks amazing! I am ready for bed but now I am so hungry, haha. I love it when the service is fast but still attentive. They all look tasty! I'd like to try the Garlic Baby Squid. Btw, how much did you pay for the street food platter? Yup, the street food platter was an appetizer. Thank you for dropping by! The street food platter was Php180. A bit expensive, yeah. Yup, service makes all the difference. Thank you! Haha. Squid is not really for everybody. Thanks! Yup, always loved that appetizer. Thank you! Yup, they have lots of veggie dishes in their menu, too. Thanks for dropping by! 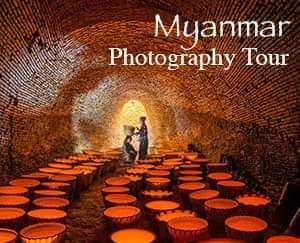 Wow everything looks so amazing. It looks like they have a lot of selection. I am going to have to add it to my list. Thanks, try it when you are in Makati.